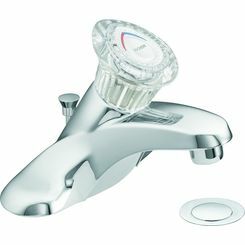 We have a large selection of centerset lavatory faucets so that you can get the best option for your bathroom installation. 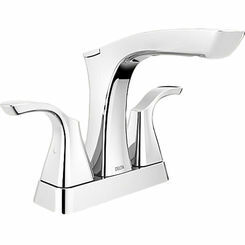 One advantage to centerset faucets is you can use mounting plates to obscure imperfections in the faucet hole, or if you are switching from a two-handle configuration to a single-handle, you can cover the extra holes with an escutcheon that looks great with the rest of the design. 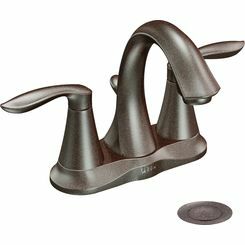 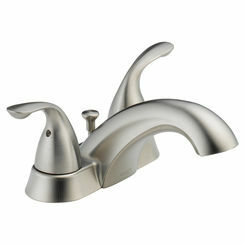 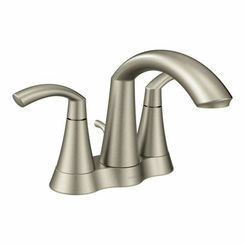 What Is a Centerset Faucet? 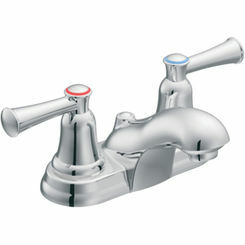 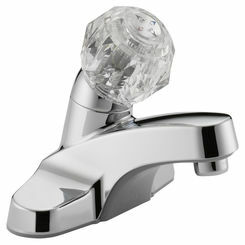 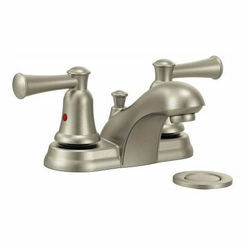 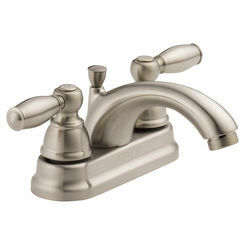 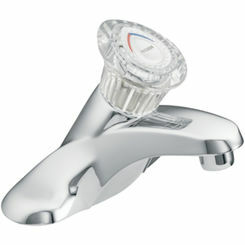 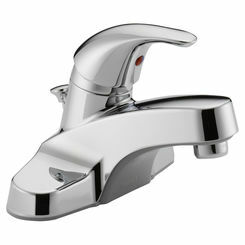 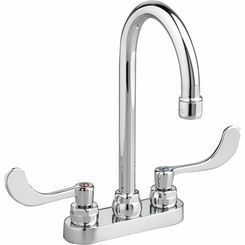 Centerset lavatory faucets are typified by the placement of the faucet at the center of the sink. 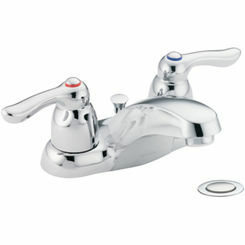 The standard configuration incorporates a 3-hole application with the outside holes being no wider than 4" apart. 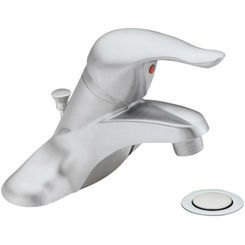 Single hole applications are also considered to be centerset. 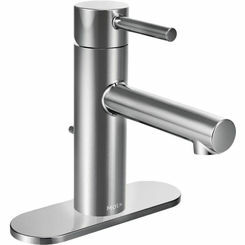 These faucets are easy to install and offer you every kind of feature and option, ranging from basic and affordable to elegant and extravagant. 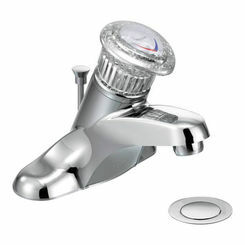 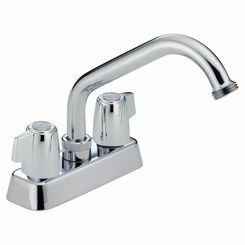 If you don't find what you need here, check out the rest of our bathroom sink faucets.